Almost every tea you enjoy comes from a specific species of plant known as the Camellia sinensis. There are many varieties of this plant and each has characteristics that help define our favorite teas, including black tea, green tea, and oolong. Camellia sinensis ( pronounced cam-MEHL-ee-ah sin-INN-sis) is the plant used to make teas, including white tea, green tea, oolong, black tea, yellow tea, and pu-erh. It is not used to make "herbal teas," such as chamomile, mint, and rooibos. The tea plant is thought to have originated near the Yunnan region of China. The name Camellia sinensis is Latin for "Chinese camellia." 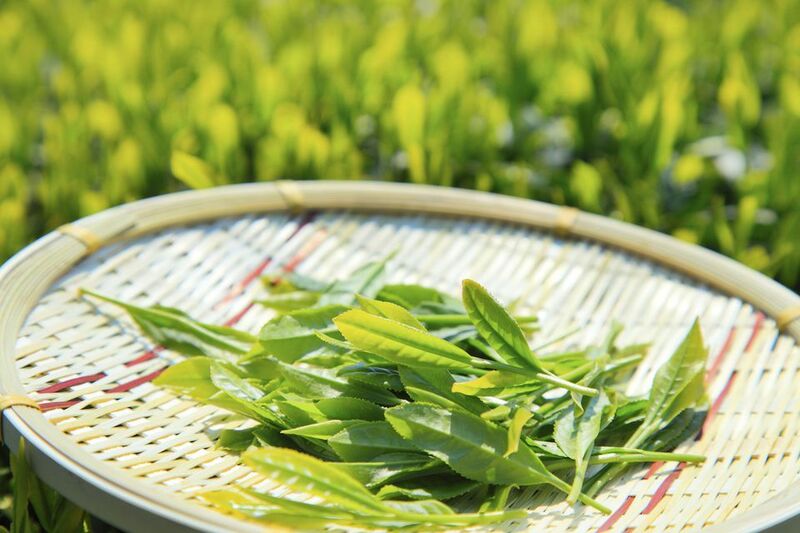 Due to its connection with the beverage, this plant is also commonly referred to as a tea plant, tea bush, or tea tree. Camellia sinensis is an evergreen shrub tree that thrives in forest areas. The leaves are a glossy green with serrated edges and are very similar in shape and size to a bay leaf. Camellia sinensis sinensis (Chinese tea) is native to China and thrives in cool temperatures and high elevations. It is commonly grown on mountain slopes. This variety is used to make the sweeter, gentler teas, including green tea and white tea. Camellia sinensis assamica is popularly known as Assam tea or Indian tea. It originated from the Assam region in Northern India. This climate is more tropical with plenty of rain and warm temperatures, producing a larger plant that is used for robust teas like black tea, oolong, and pu-erh. There is a third variety of the plant, Camellia sinensis cambodiensis, also known as the 'Java bush.' It is not commonly used for tea though it has been used to crossbreed plant cultivars. Although the tea plant typically flourishes in tropical climates, some varietals of the tea plant also grow well in cooler climates, like that of the Pacific Northwest. Tea is grown throughout the world and each region's teas have distinct flavor profiles. This is known as terroir. In many tea gardens and plantations, tea plants are kept as shrubs, but they will grow into small trees if left untrimmed. Some say that taller tea plants typically have larger root structures, which results in a more nutrient-rich, flavorful tea. The plants are grown for their leaves and harvesting must be done by hand. Rather than take all of the leaves, only the prime, top leaves are 'plucked' (the tea industry's term for harvesting). The 'flush' used in tea plucking is different than the 'flush' used to describe Darjeeling teas, which refers to the time of year the leaves were harvested. In rare occasions, the twigs and flowers of the plant are also used. Generally, the plants are kept from blooming so their energy may be directed to the valuable leaves. Tea is harvested during the warmer months of the year when the plants are growing strong. In northern climates, this is only a four-month window. In more tropical regions, they may have up to eight months of regular harvests.